EXCLUSIVE / The extraordinary EU summit on 30 August, which was expected to put together “the full puzzle” of the EU top jobs for the next five years, will only decide on the successors of Council President Herman Van Rompuy, and EU foreign affairs chief Catherine Ashton, sources told EURACTIV today (26 August). Jean-Claude Juncker, the Commission President-elect, is reported to be convinced that it is not possible to decide on the composition of the future Commission before leaders decide who will succeed Van Rompuy and Ashton. If the summit decides on the two top jobs, it is expected that Juncker would come up with a list of commissioners and of portfolios in the first or the second week of September. The reason, sources explained, is that if leaders decide not to appoint Federica Mogherini, the Italian foreign minister, as a successor to Ashton, Rome might nominate another person as Italian commissioner. A number of countries including Poland oppose the appointment of Mogherini as EU foreign affairs chief due to her lack of experience on the Russian dossier and the traditionally pro-Moscow positions of Italy. According to diplomatic sources, it would not be correct to say that only Eastern European countries had opposed Mogherini, and reportedly France had also done so “in a very elegant way”. “Mr Juncker has two or three scenarios in mind, but he cannot decide before this decision [on Ashton’s successor] is taken,” a source close to the former Prime Minister of Luxembourg said. It is also expected that Juncker will first present a list of the Commissioners, followed by a list of the Commissioners’ qualifications. Such a strategy, however, is likely to clash with the views of several member countries, who insisted over the failed summit held during the night of 16 to 17 July that there was a need to see the “full picture”. Eastern EU countries were the main reason for the blockage. They argued that no decision could be taken on the two senior positions before they knew what portfolios would be assigned to “their” national commissioners. German Chancellor Angela Merkel said in at the press conference following the summit that EU leaders had suddenly realised there was “interdependence” between the distribution of Commission portfolios and the two top jobs. A senior diplomat from an Eastern European country told EURACTIV today that he didn’t’ believe that the summit will end up successful, with only the two top job nominations. “There would necessarily be agreements, even if not announced, over other posts and attributions,” the diplomat said. Usually Van Rompuy is in charge of preparations of EU summits. In fact, the former Belgian Prime Minister has been harshly criticised by member countries for the poor preparation of the 16-17 July summit, as leaders are reported to have known there would be no agreement at the time they sat around the summit table. This time, Juncker is said to be closely associated with the preparation of the 30 August summit. EURACTIV was also told that all countries had made nominations for commissioners, with the unique exception of Belgium. Reportedly, only four women are likely to be part of the next EU executive (Italy’s Mogherini, Bulgaria’s Georgieva, the Czech Republic’s Jourová and Sweden’s Malmström.) There are seven women in the present EU commission, and the European Parliament is insisting that the gender balance should further improve. To mollify the Parliament, Juncker has recently told the Austrian daily Kurier that he would give women candidates the Commission’s Vice President position, and important portfolios. 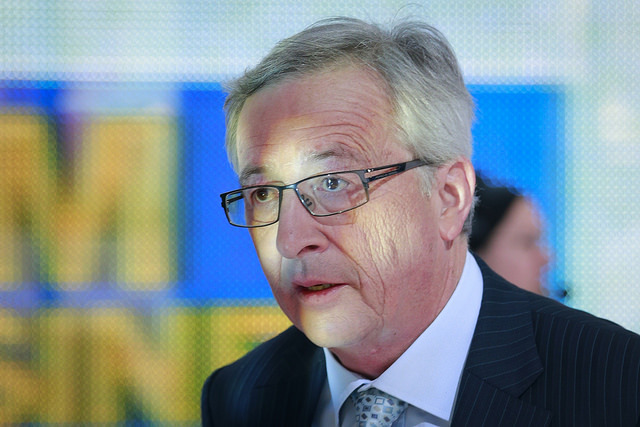 It is not yet clear if Juncker will participate to the summit, EURACTIV was told. EU ambassadors will meet in the COREPER format to prepare the summit on 28 August. A day after the EU Parliament elected Jean-Claude Juncker to head the European Commission, the 28 EU leaders gathered in Brussels on 16 July to discuss who will become the next European Council President and EU's foreign affairs chief. The summit however was a failure, as Eastern EU countries argued that no decision could be taken on the two senior positions before they knew what portfolios would be assigned to "their" national commissioners. In what appears to be a complex puzzle, EU leaders agreed to meet again at the end of August to agree on a "package" of appointments. In the meantime, each member country has been asked to put forward their candidate for the Commission. The Commission is subject, as a body, to a vote of approval of the European Parliament. The College of Commissioners is then formally appointed by the European Council acting by qualified majority. EURACTIV Poland: Nie poznamy nowych komisarzy w sobot? EURACTIV Czech Republic: Summit EU k obsazení top post? : podpo?í ?esko Poláka Sikorského? EURACTIV Greece: ???????????? : ???? ?? ???????? ??? Ashton ??? ??? Rompuy ?? ???????????? ??? ????? ?